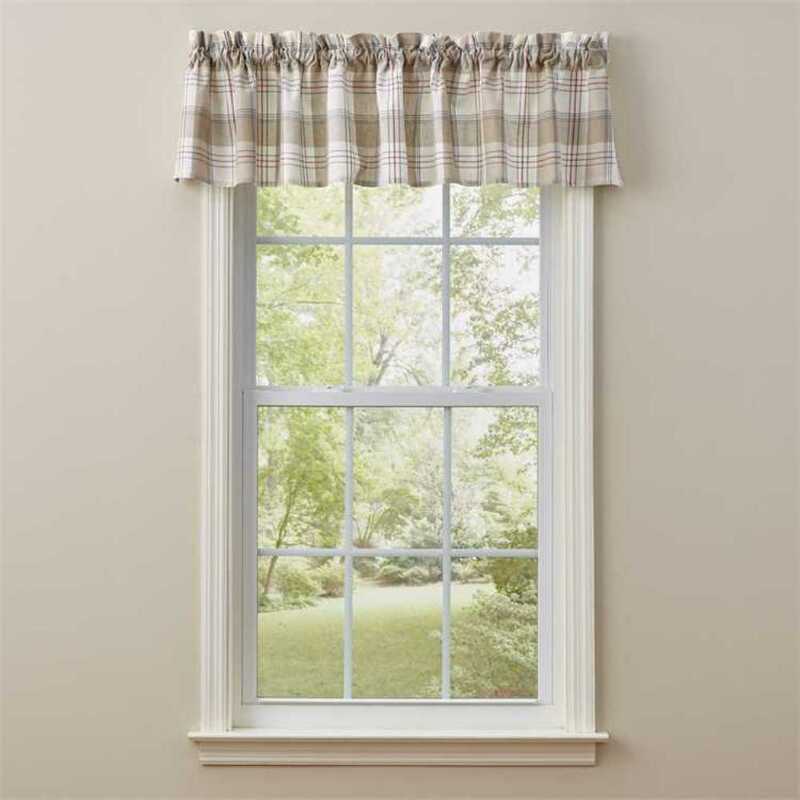 Add some personality and a bit of welcoming decor to the windows in your home without the full light-blocking design of curtains by choosing window valances or swags. 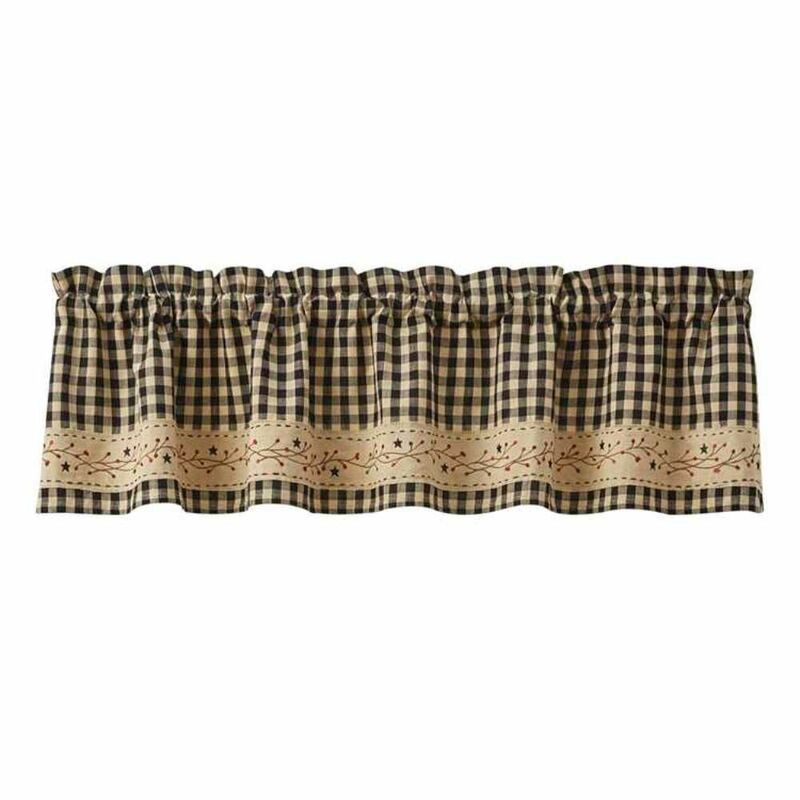 The selection of valance and swag window treatments from Christmas Tree Hill is filled with country-style window dressings that are sure to lend rural charm to your home decor. 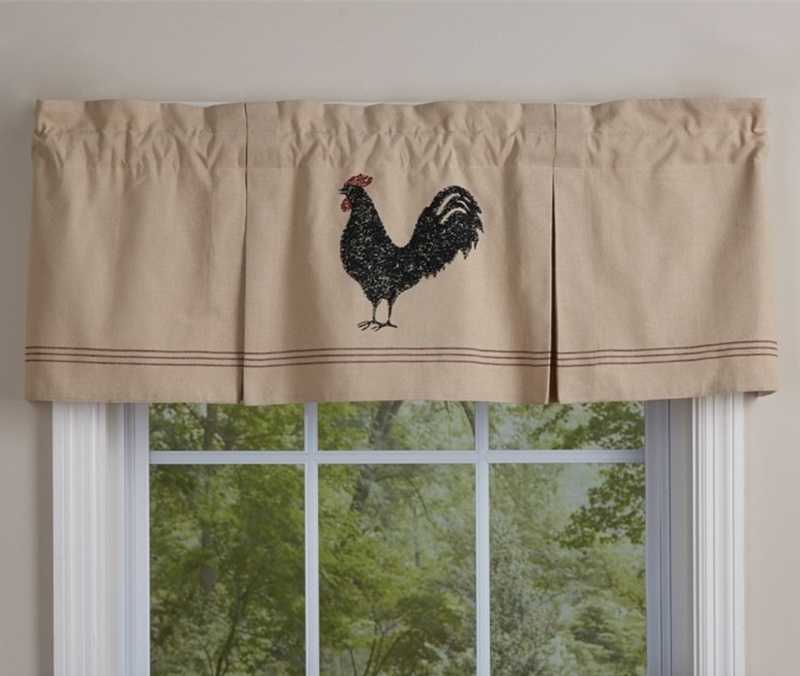 They come in several different cuts and prints that will look right at home in your pastoral decor. 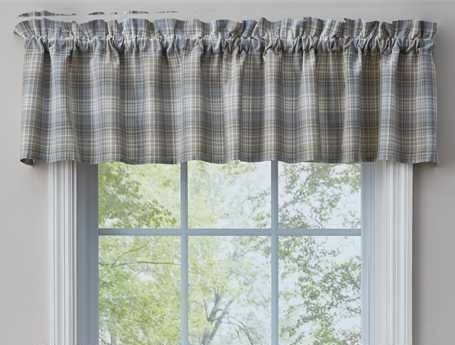 Pair these window treatments with Venetian blinds or solid-colored drapes to keep out extra light or use them alone as partial light-blocking decor. 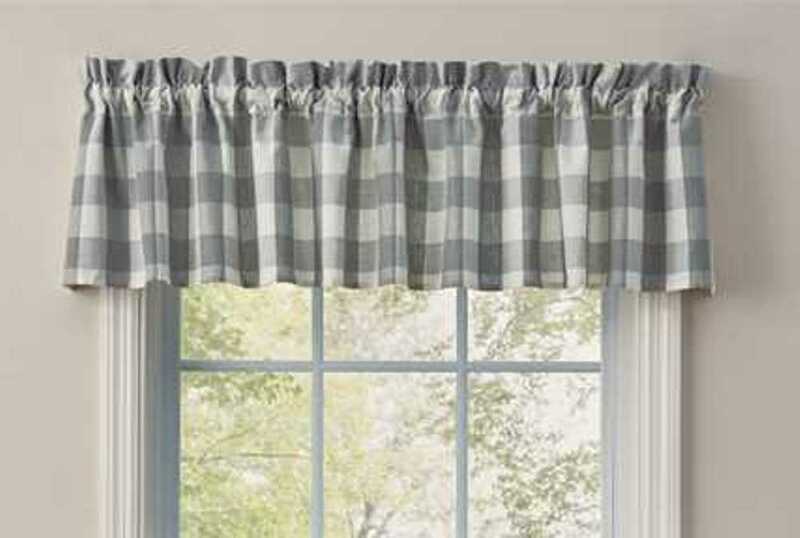 These styles can be used in any room of your home, but look especially good in your kitchen, dining room or bathroom. 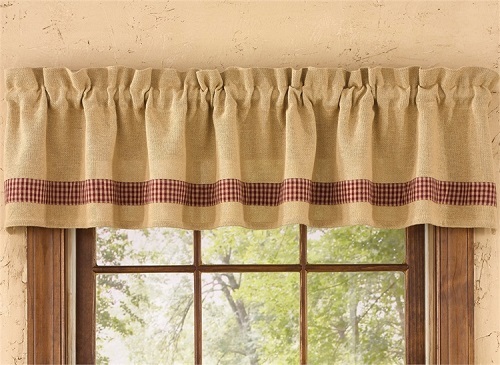 Valances are decorative window treatments that only cover the very top of your window. 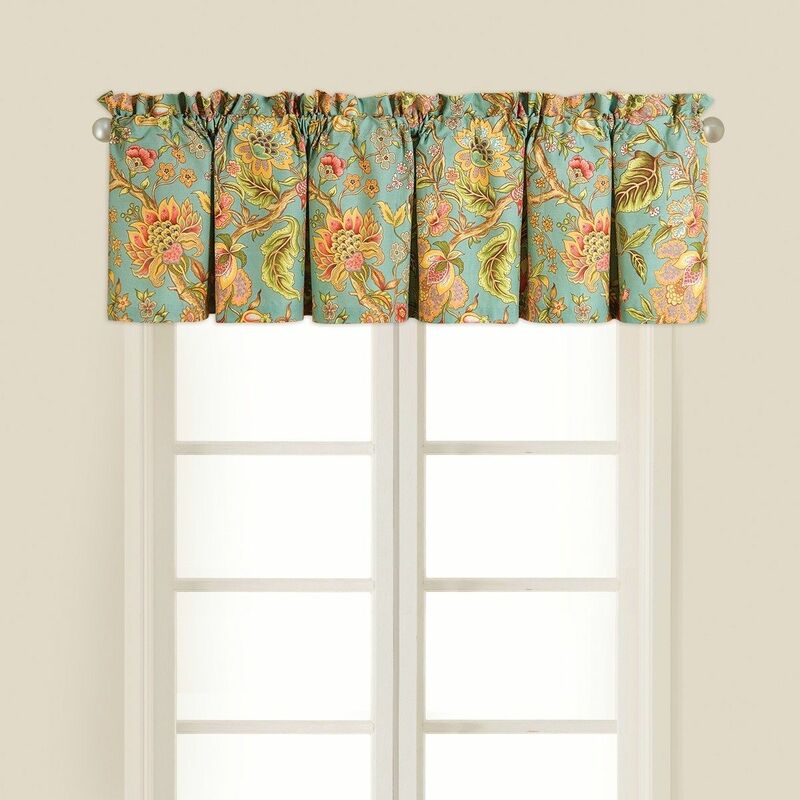 They add a pop of color to the top of the window without hanging down to block light like traditional curtains. 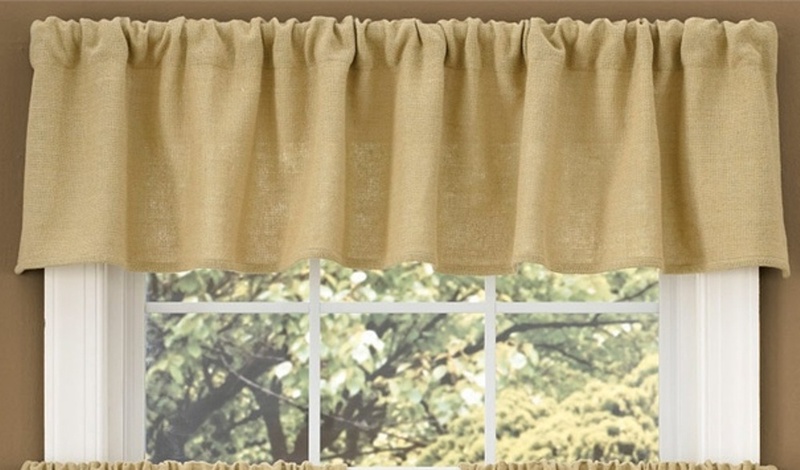 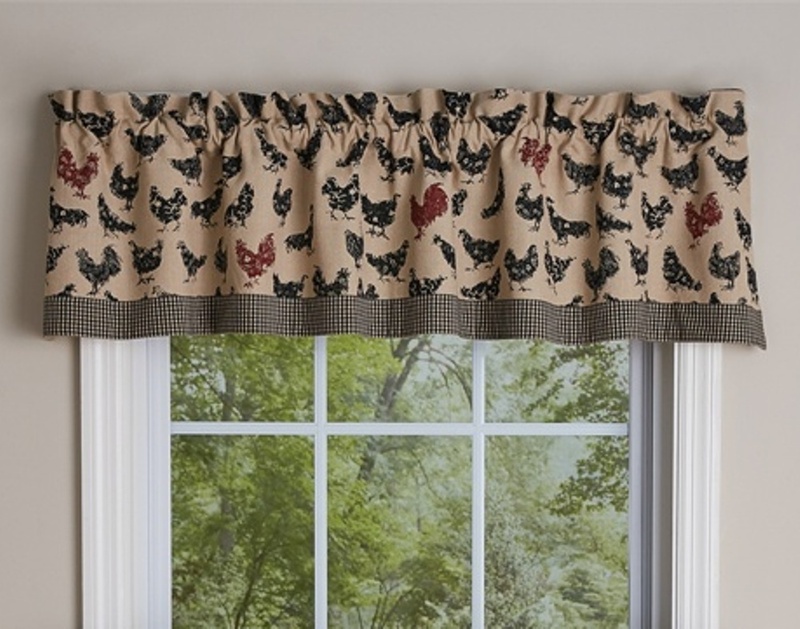 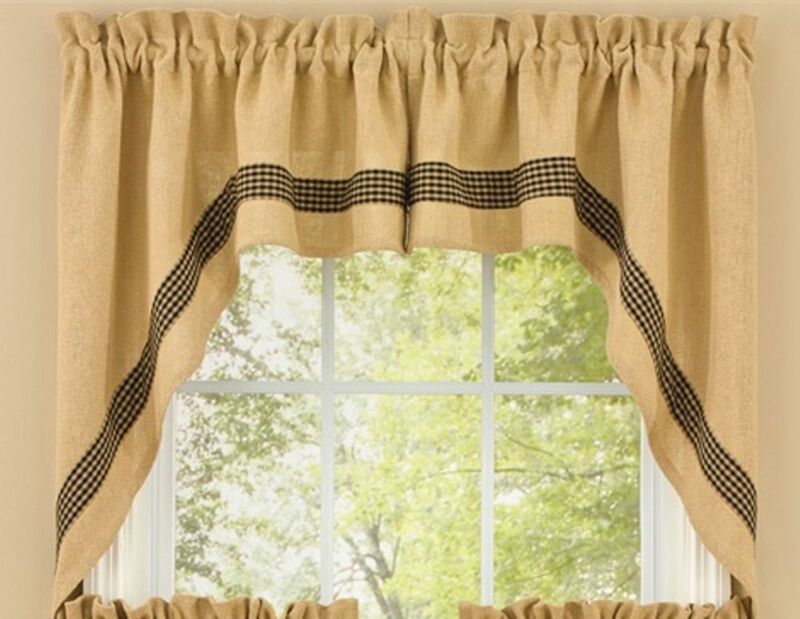 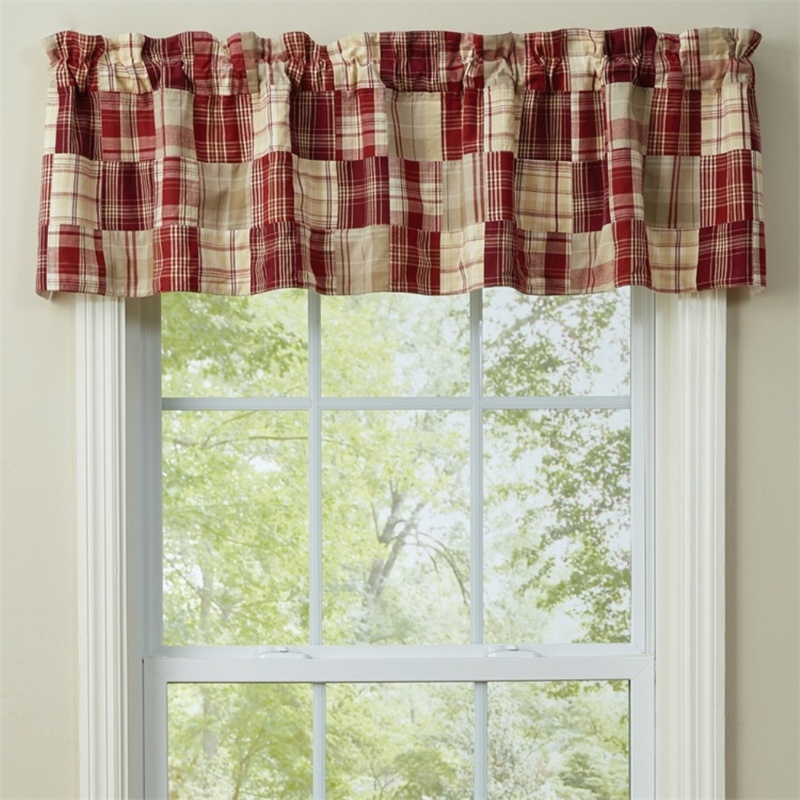 Our country valances come in a variety of different colors and prints to suit many decor schemes and styles. 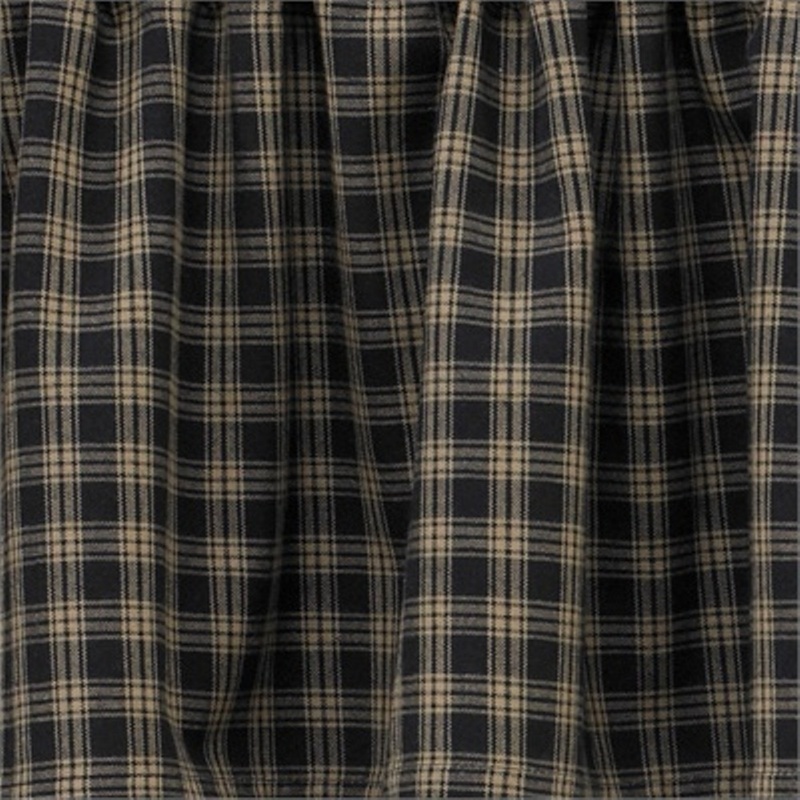 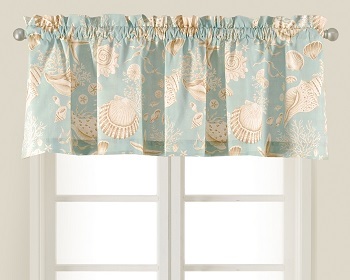 Some of these include scalloped valances that feature decorative uneven hems. 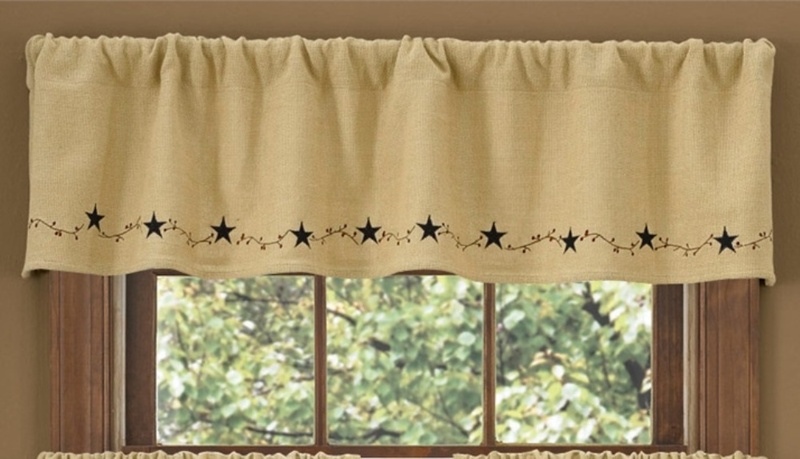 Others include embroidered valances that feature delicate stitching. 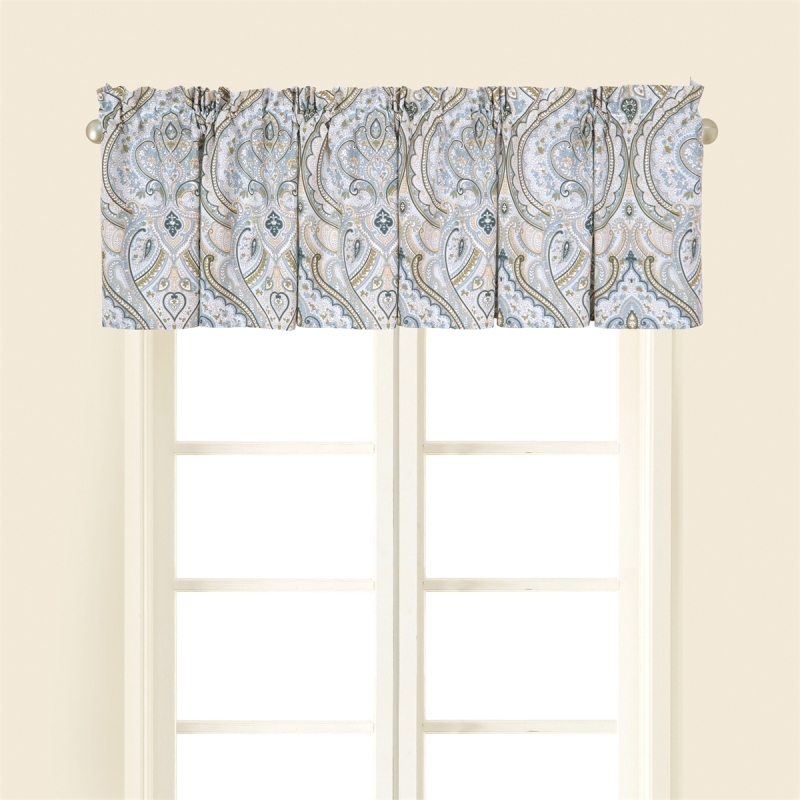 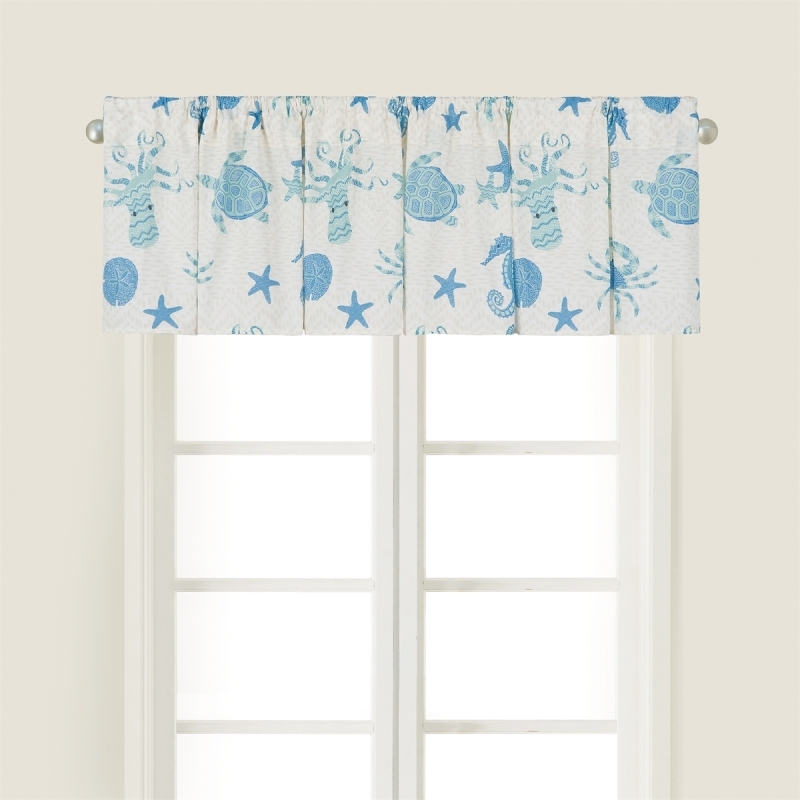 Valances with many different prints are available in our selection. 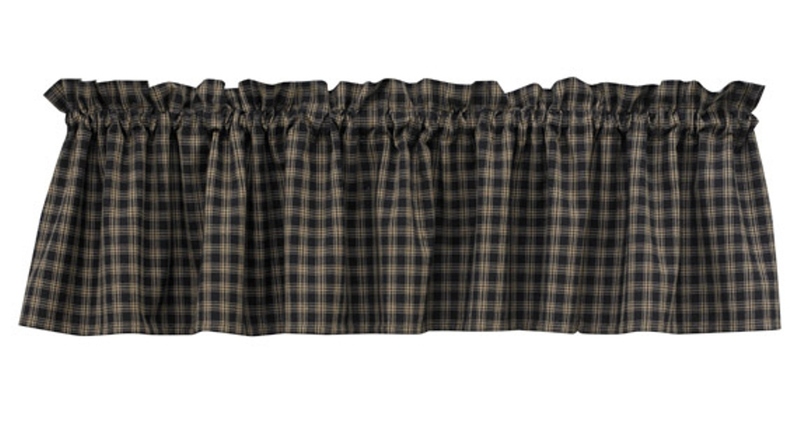 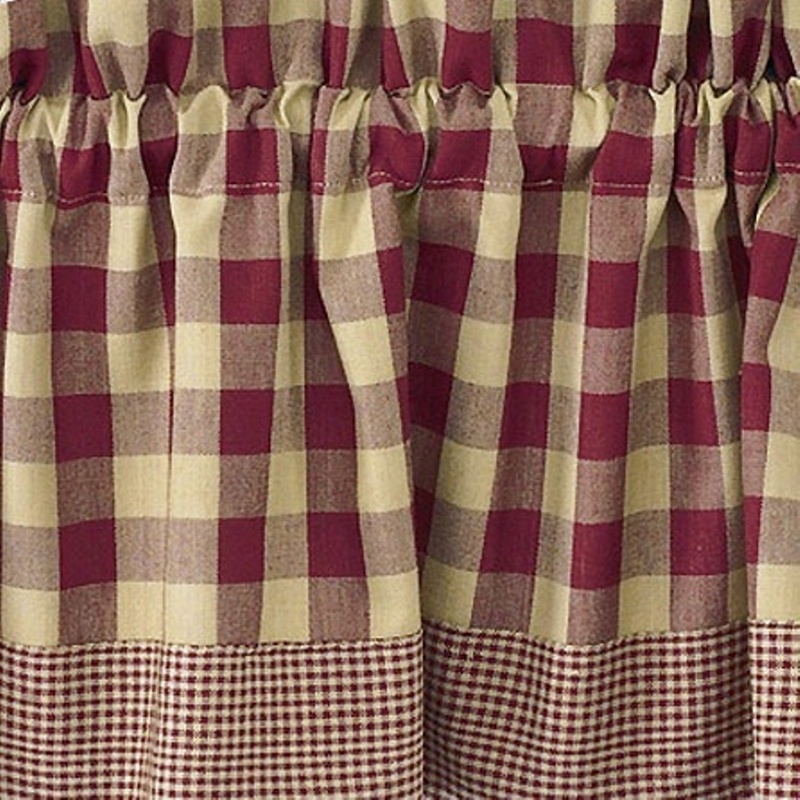 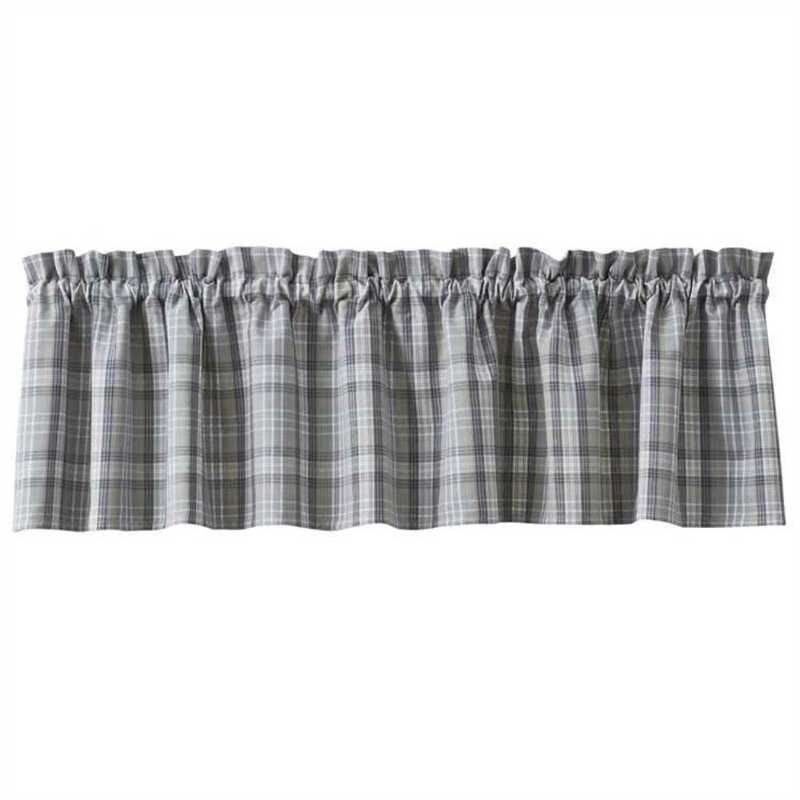 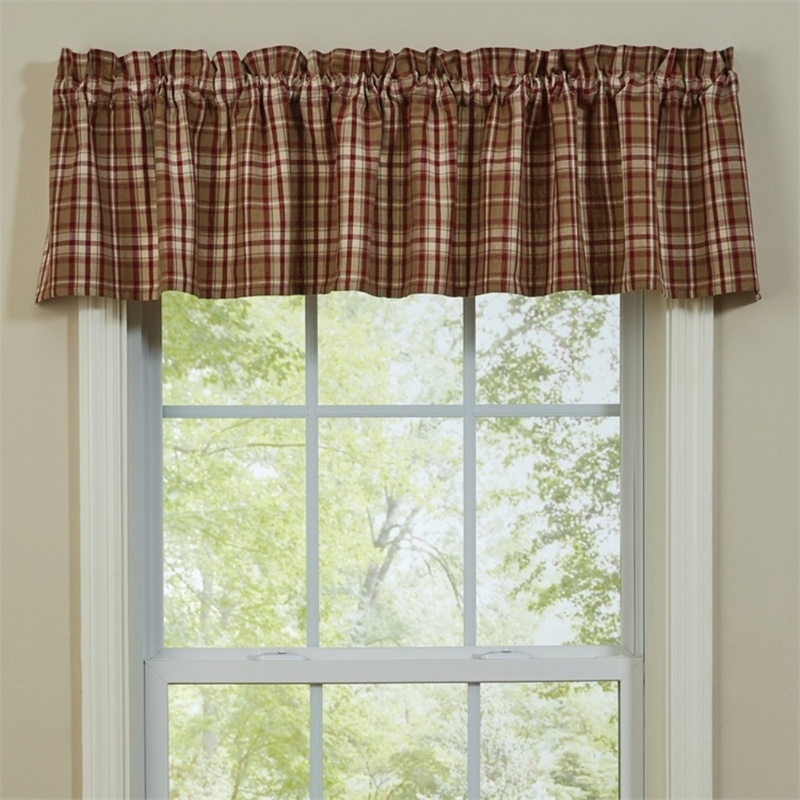 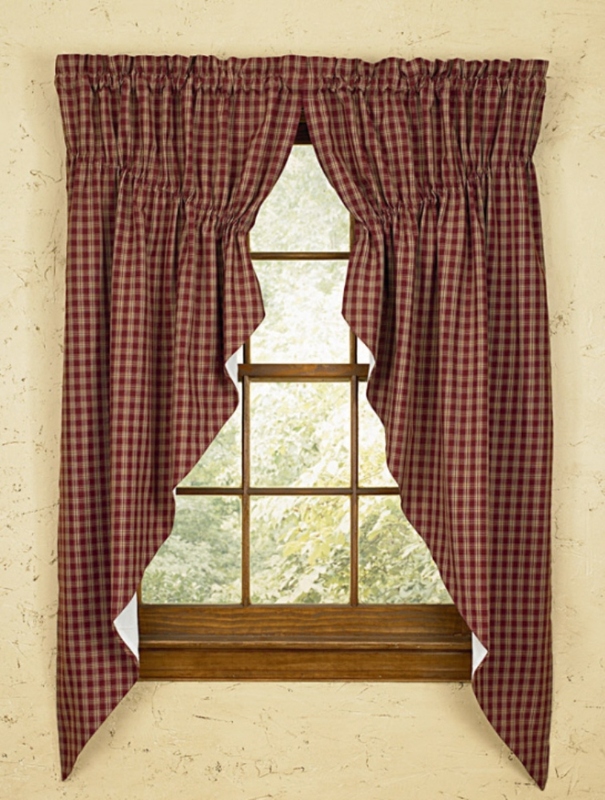 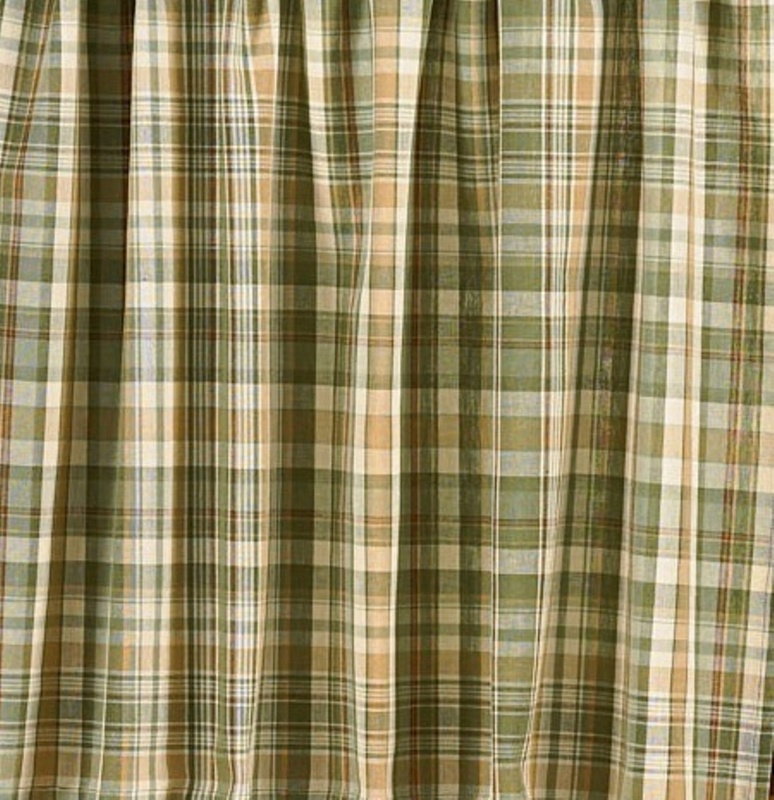 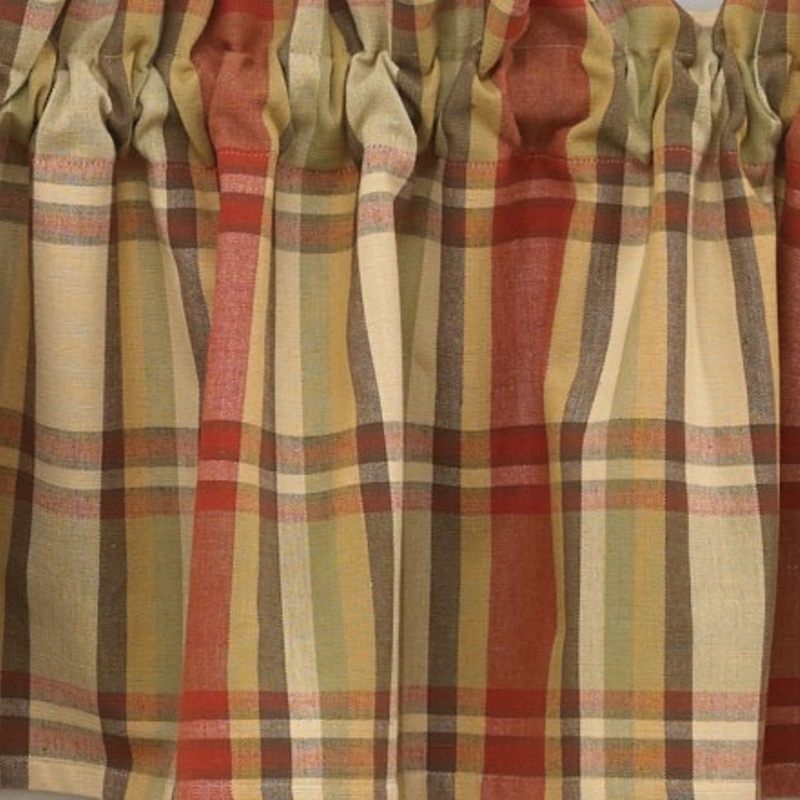 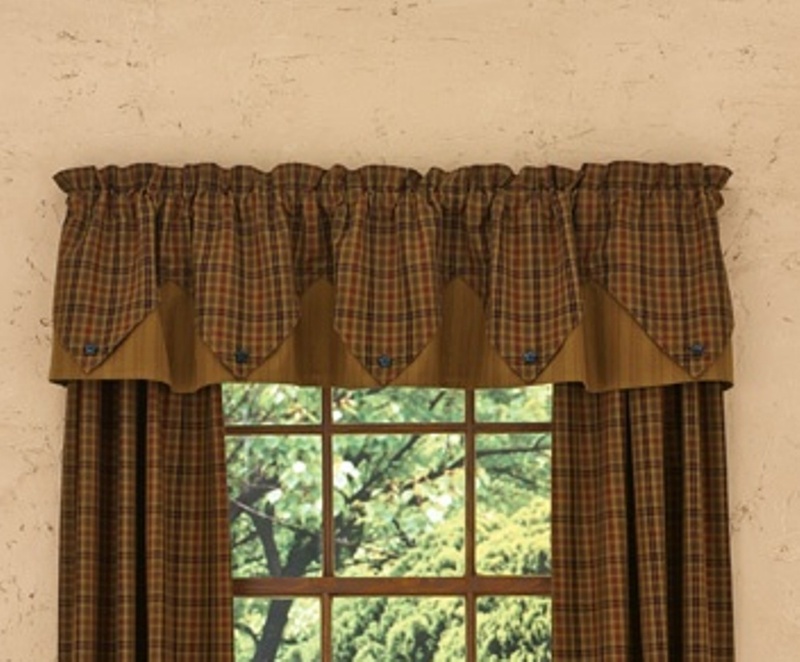 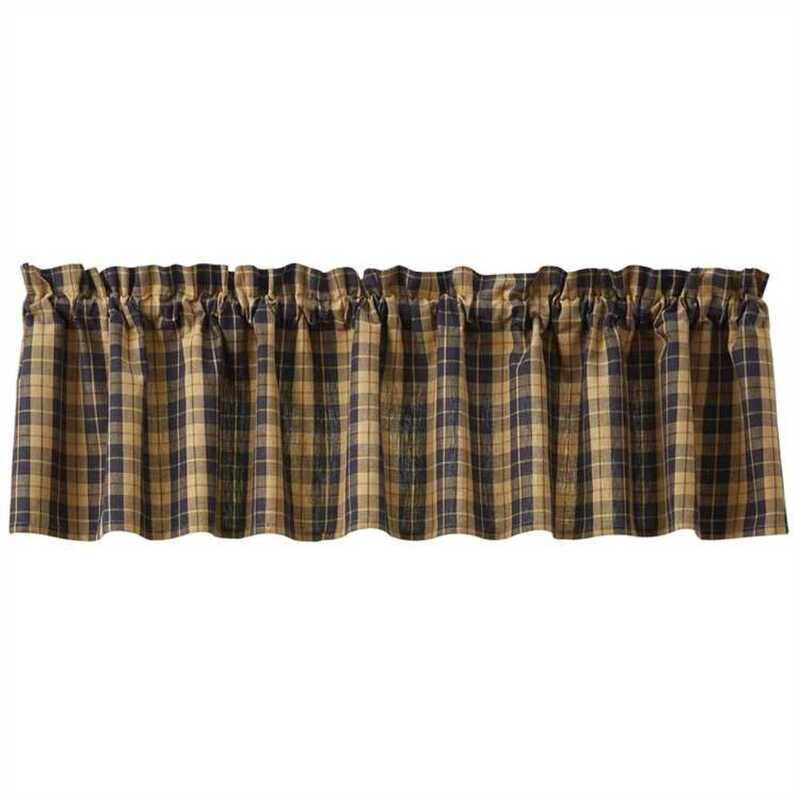 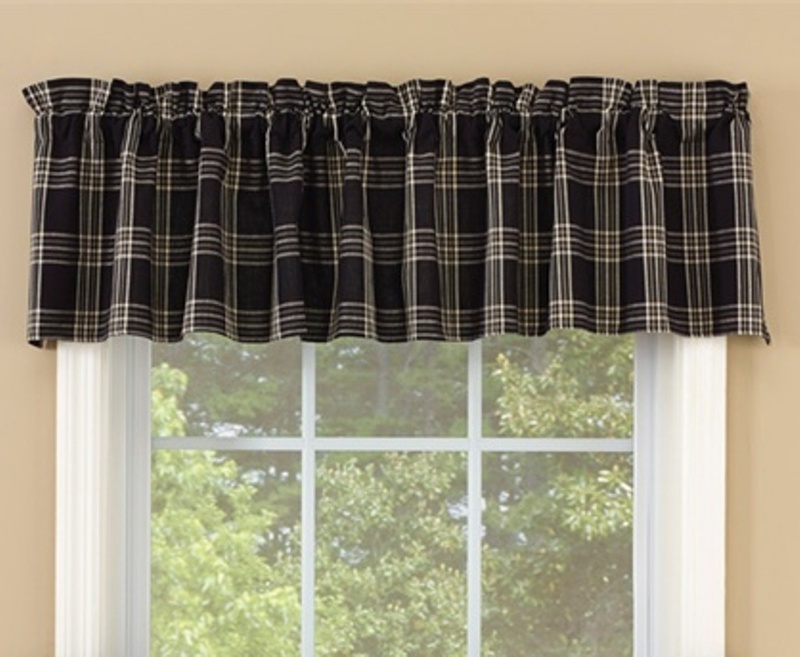 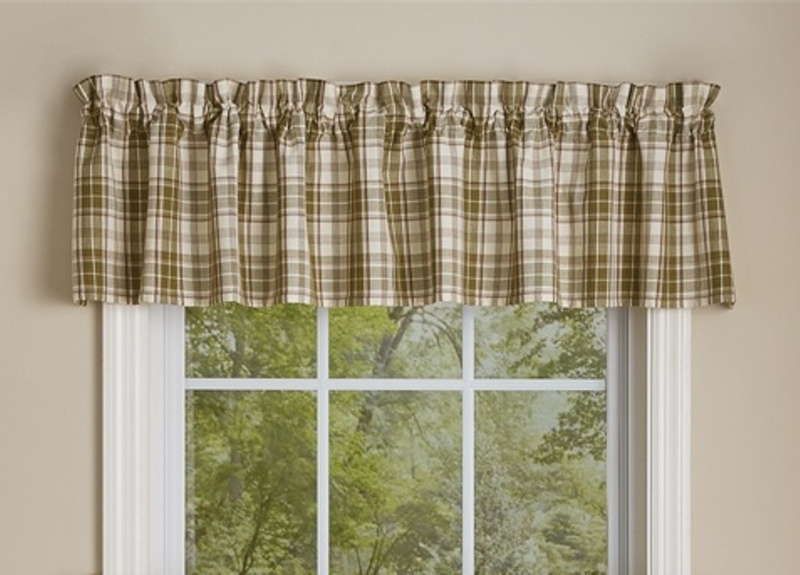 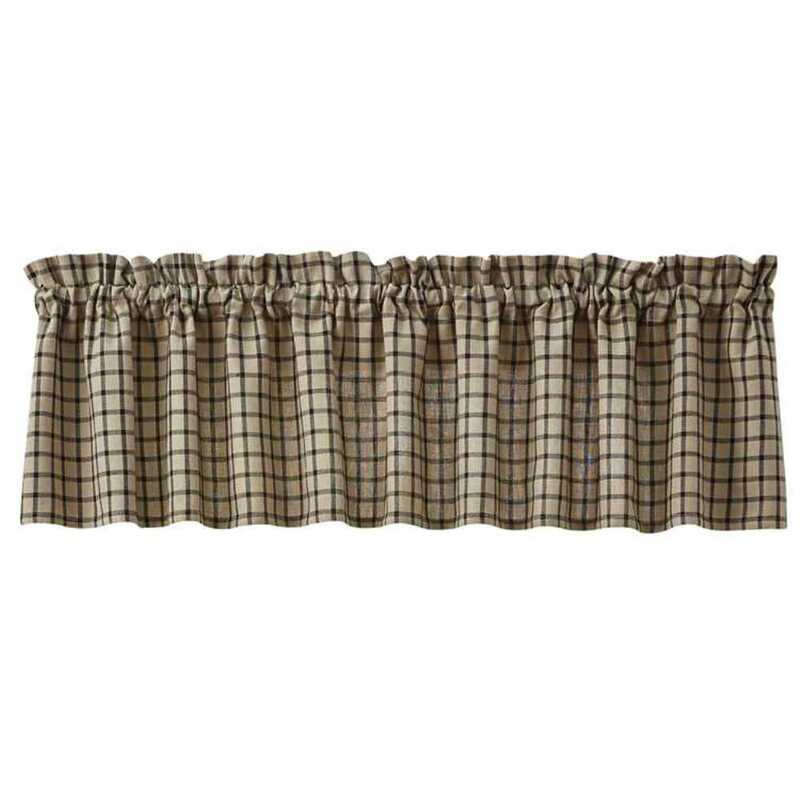 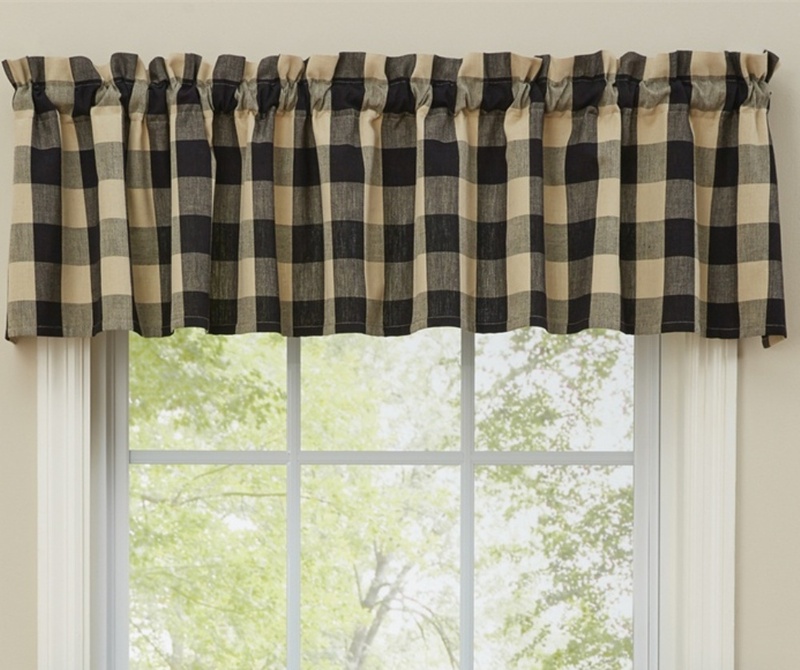 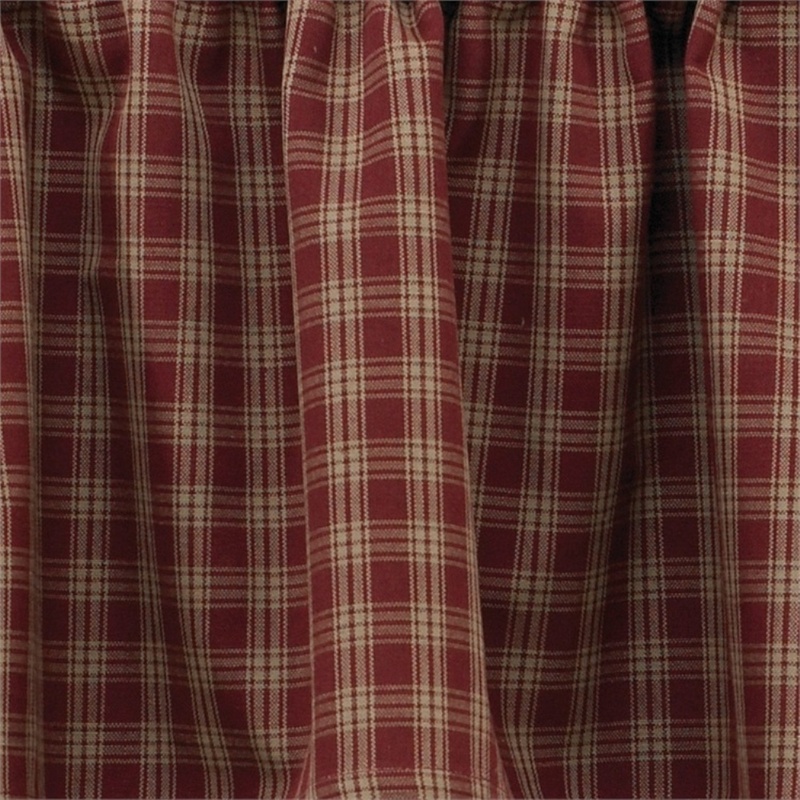 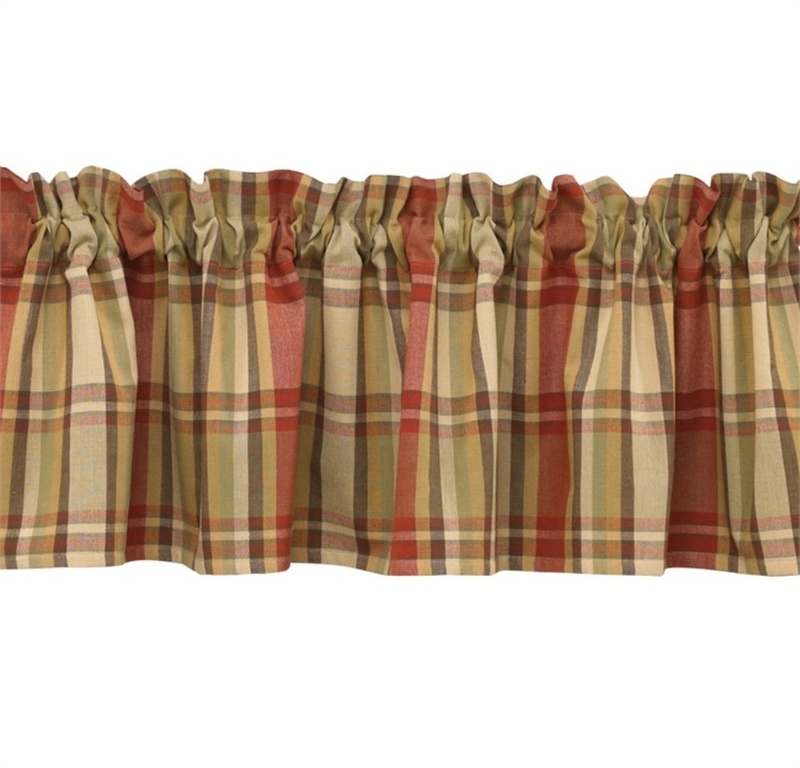 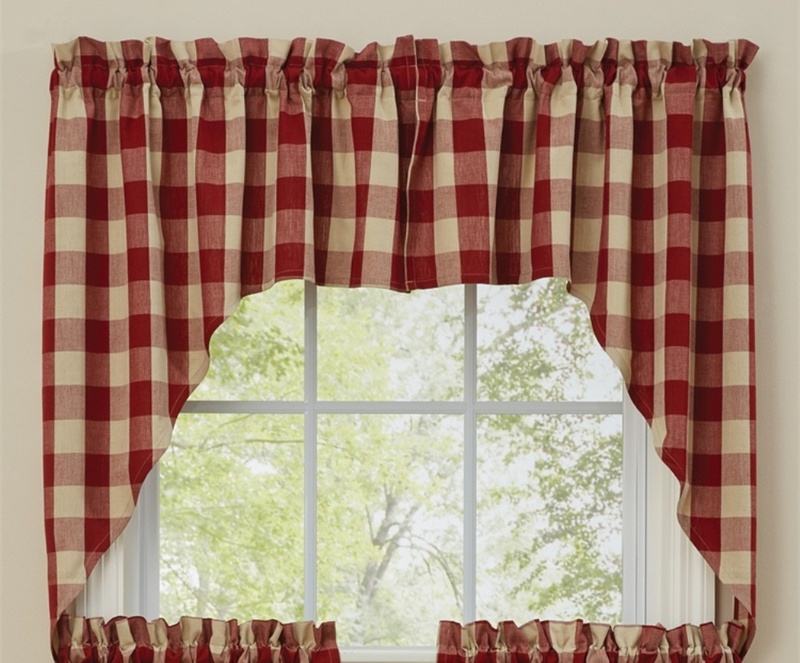 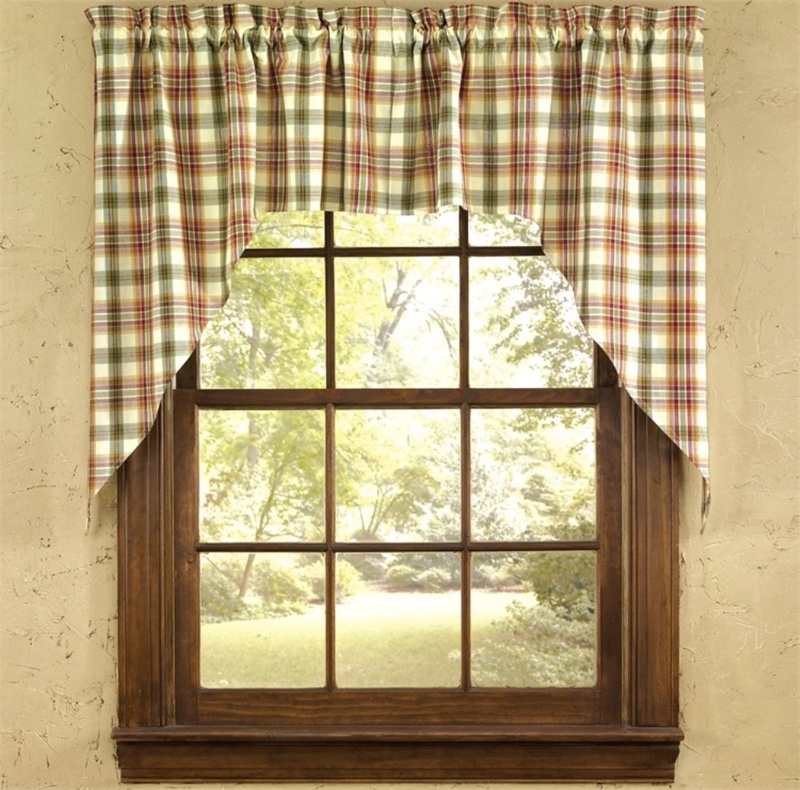 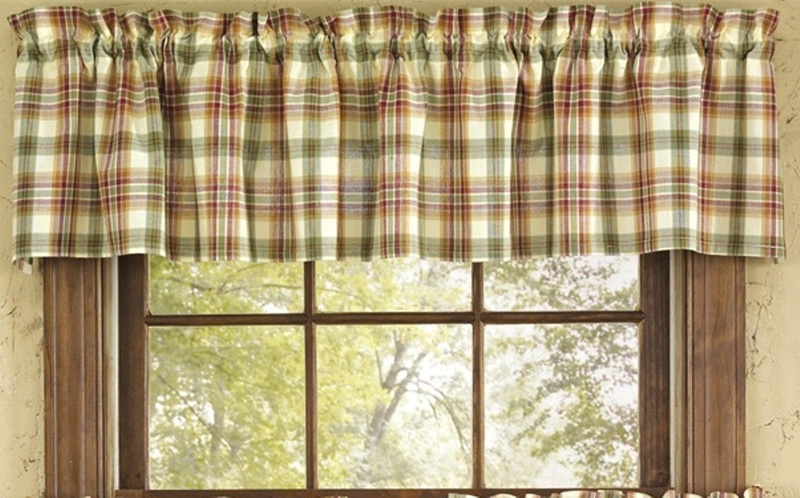 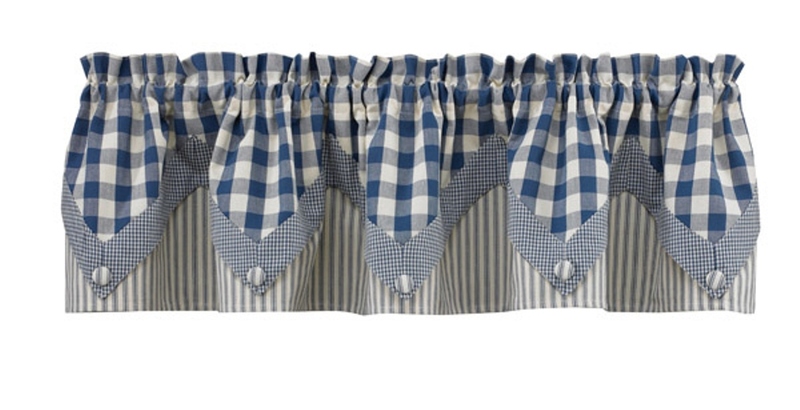 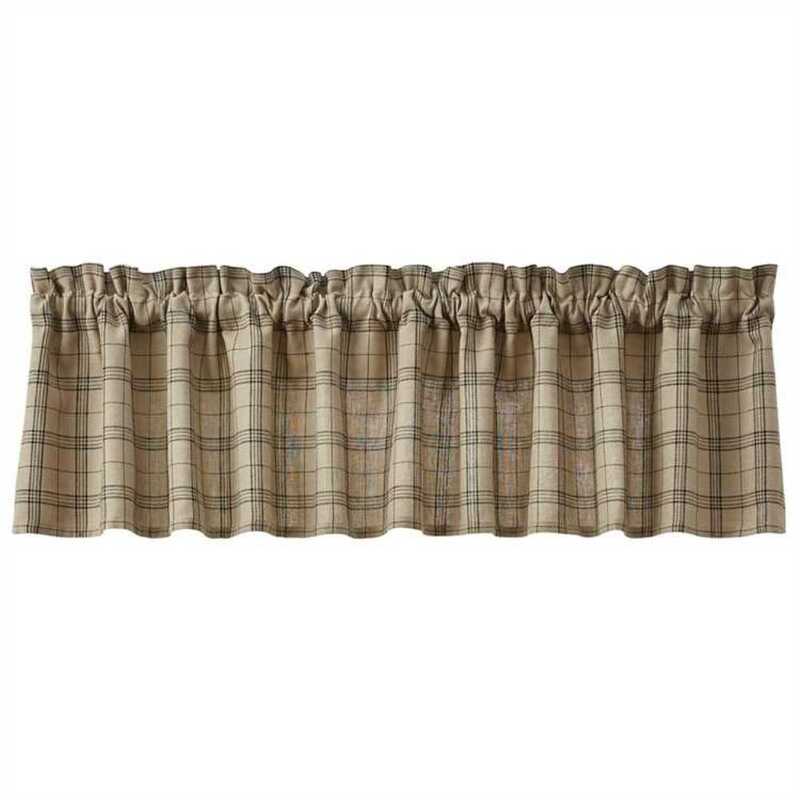 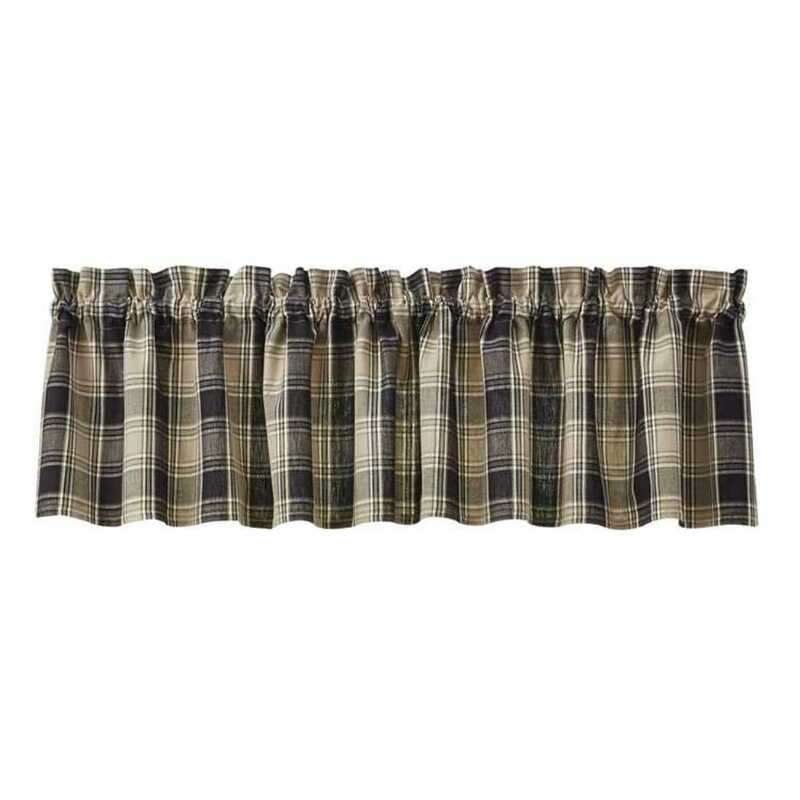 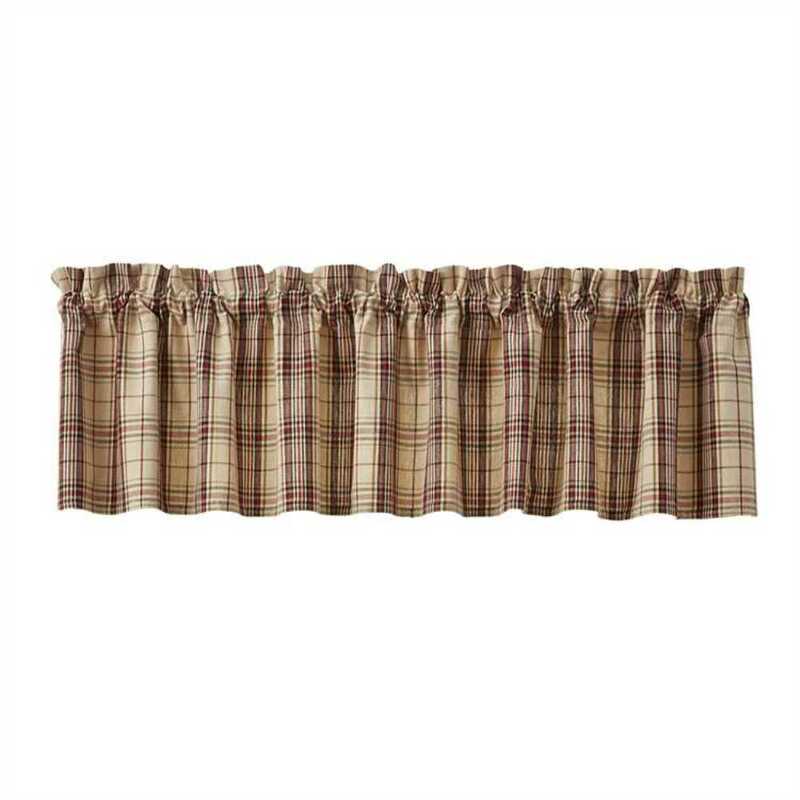 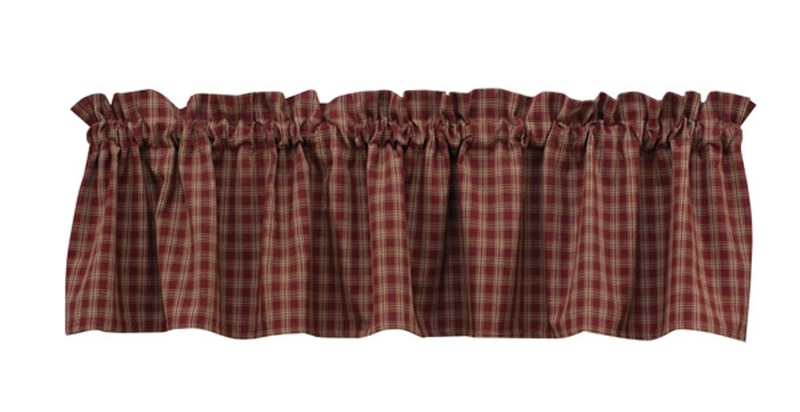 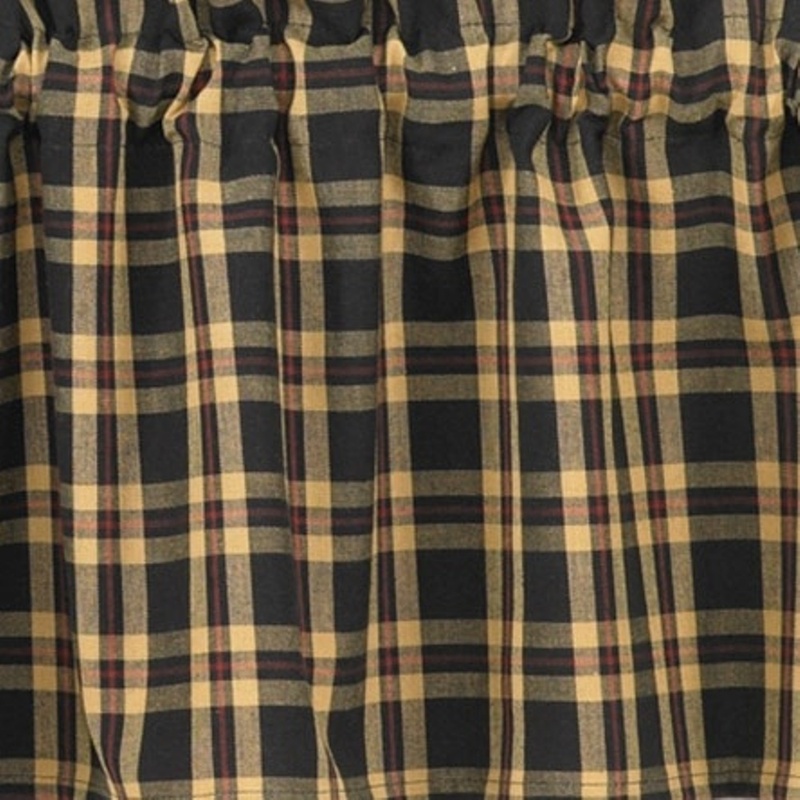 Opt for a rural theme by choosing checkerboard or plaid patterns or country burlap valances. 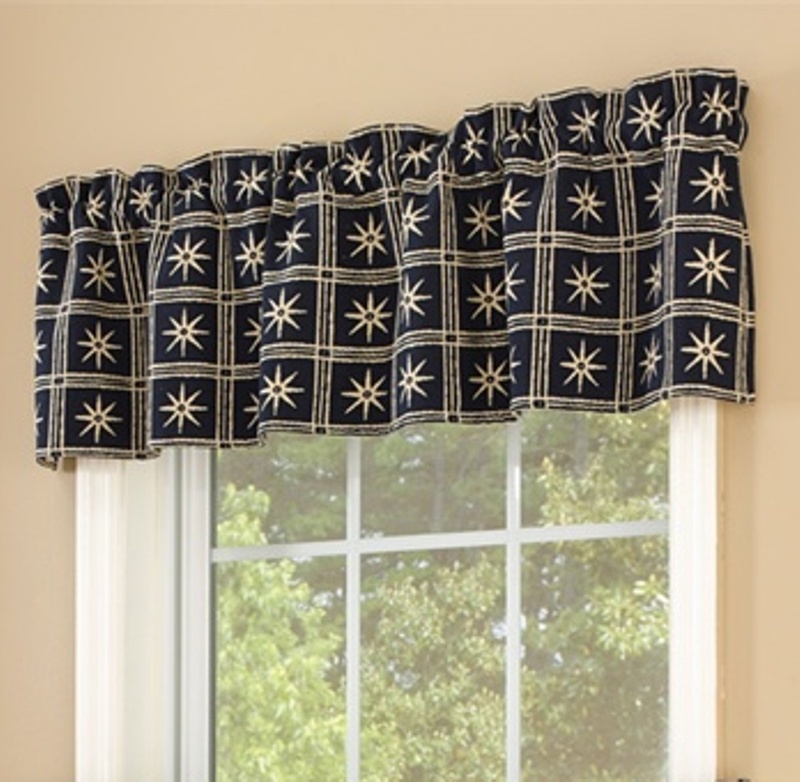 We also offer valances with stripes, geometric patterns, floral patterns and nautical prints as well as plain solid colors. 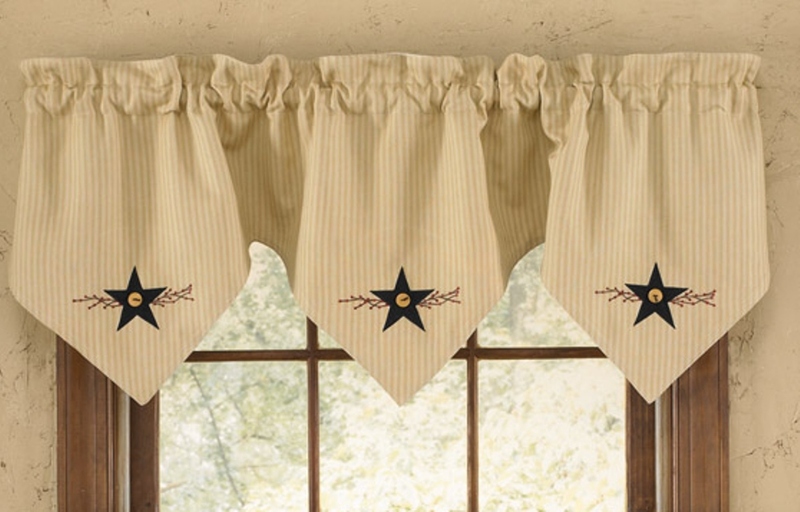 If you’re looking for seasonal decor, be sure to take a look at our Christmas valances. 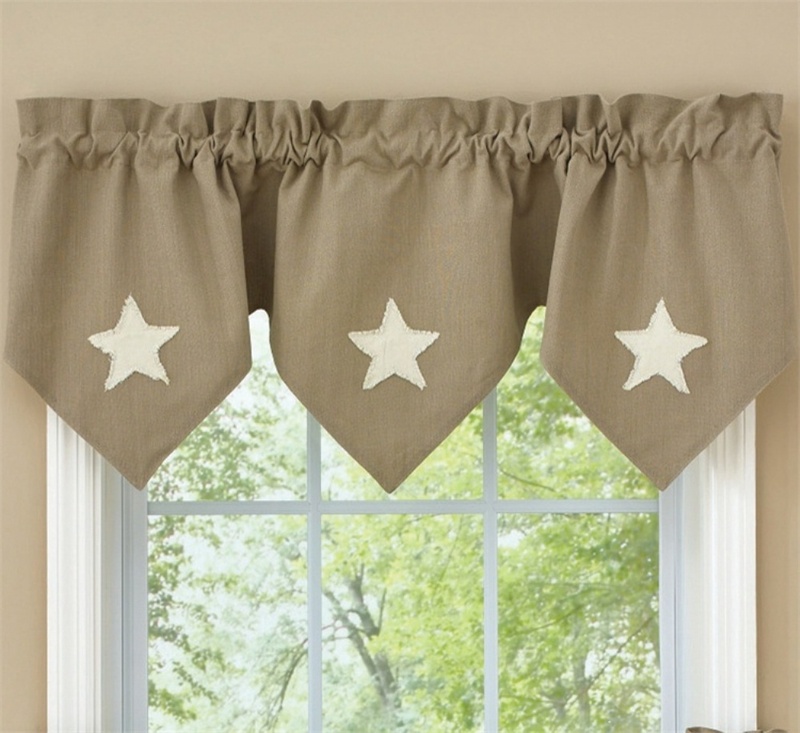 Swags are similar to valances, but feature a less-structured style. 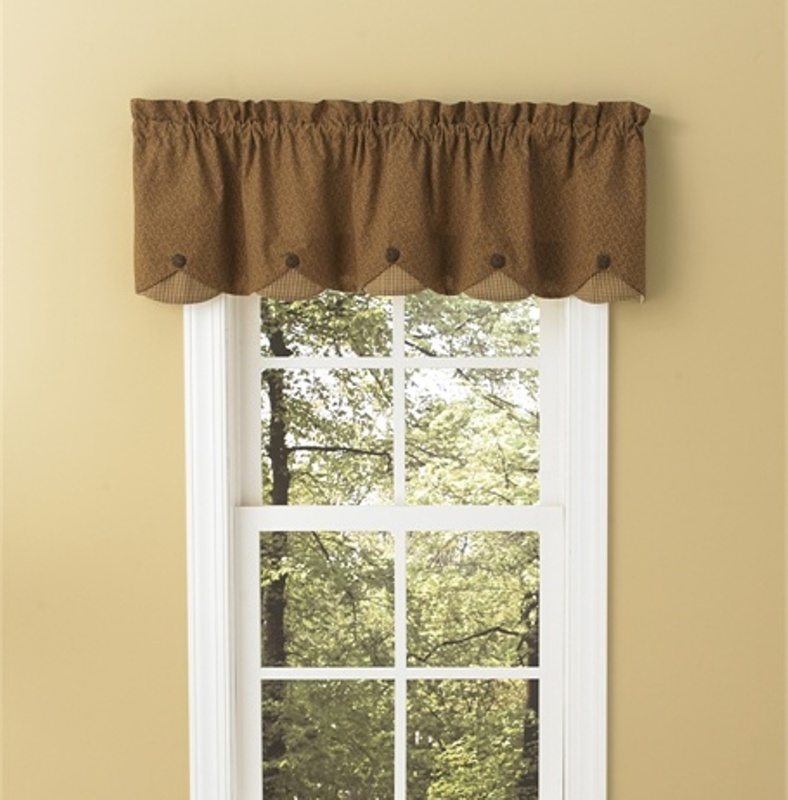 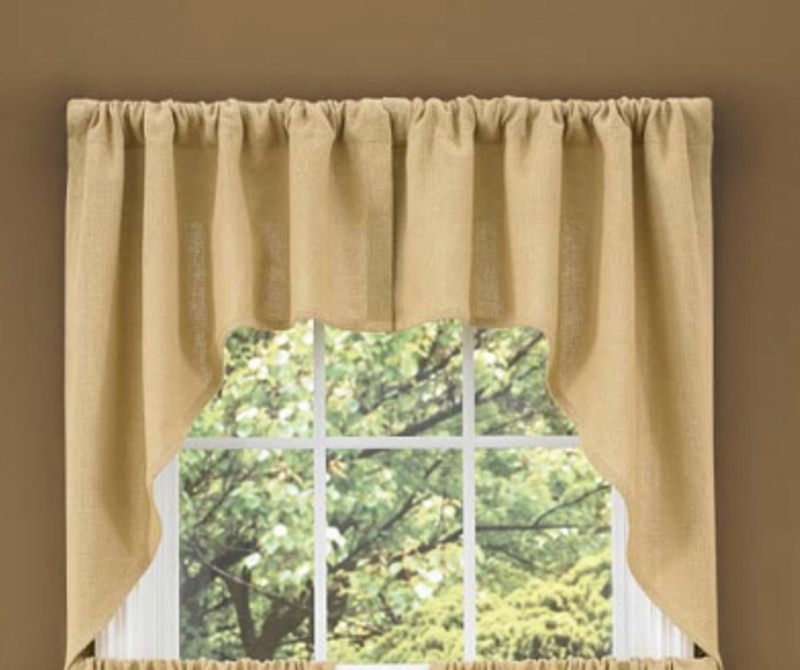 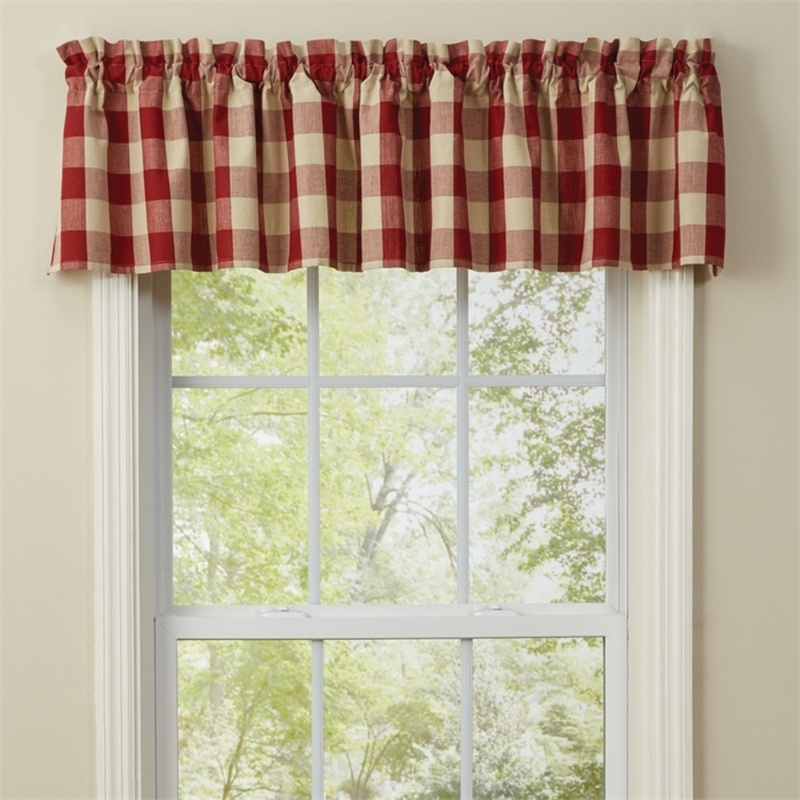 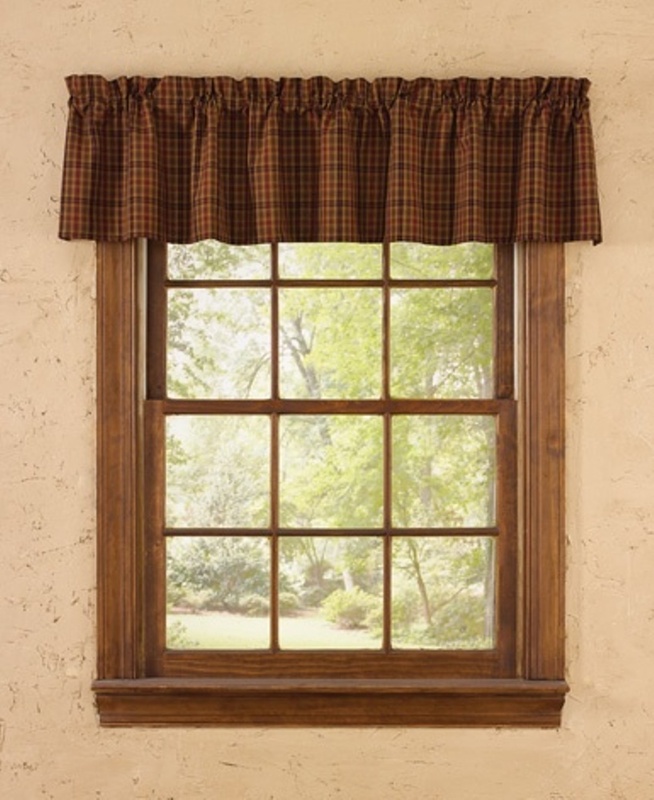 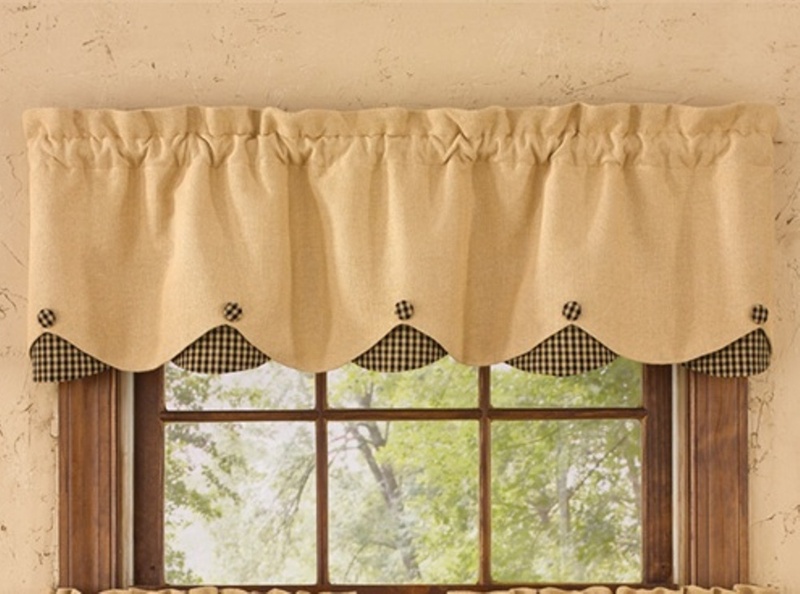 Our country-style swags feature lovely decorative cuts that frame your windows beautifully. 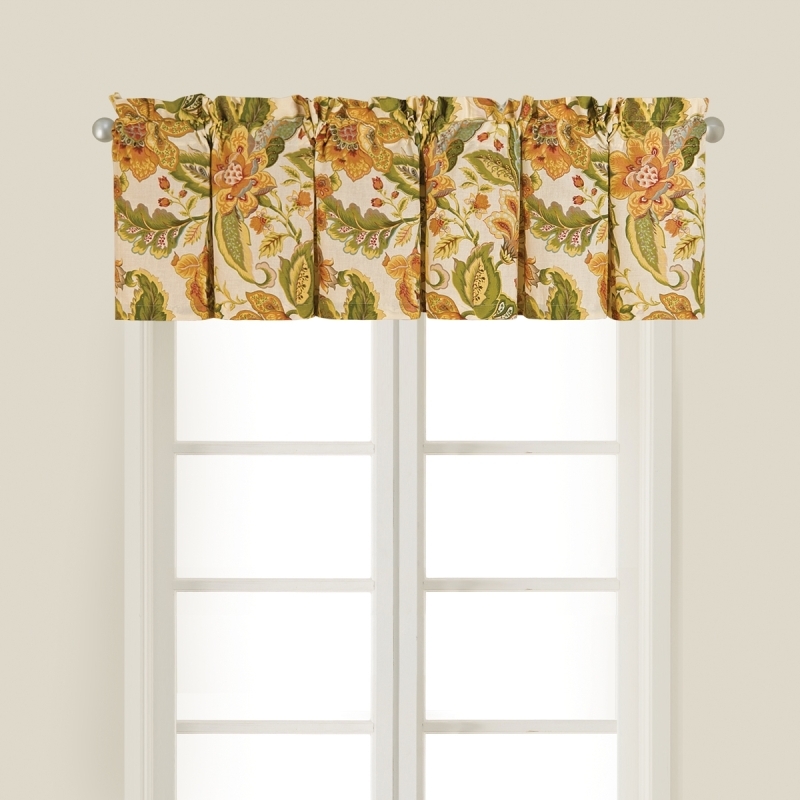 Just like our valances, our swag window treatments are available in a variety of different styles, patterns, fabrics and colors. 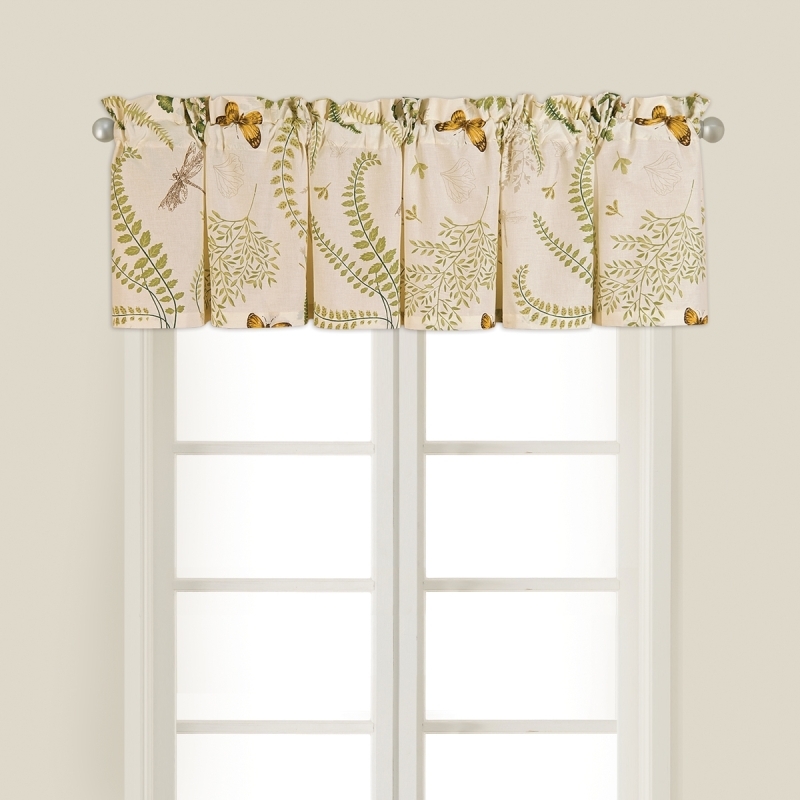 Choose the style that best suits your existing decor or use your new window treatments as inspiration for the rest of your home. 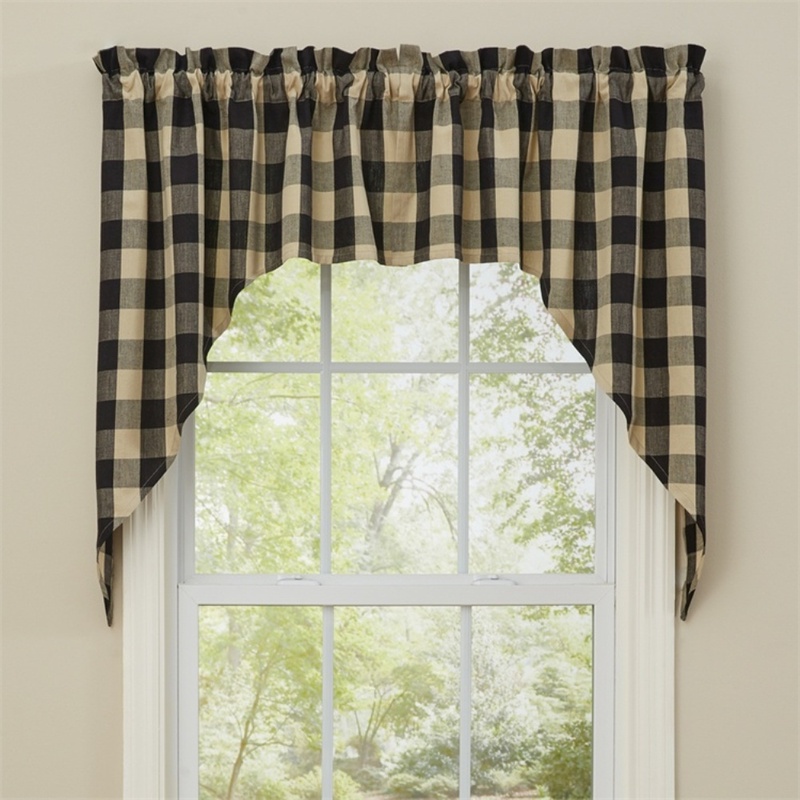 If you prefer a more pastoral design scheme, choose from our selection of burlap swags or our swags with plaid or checkerboard patterns. 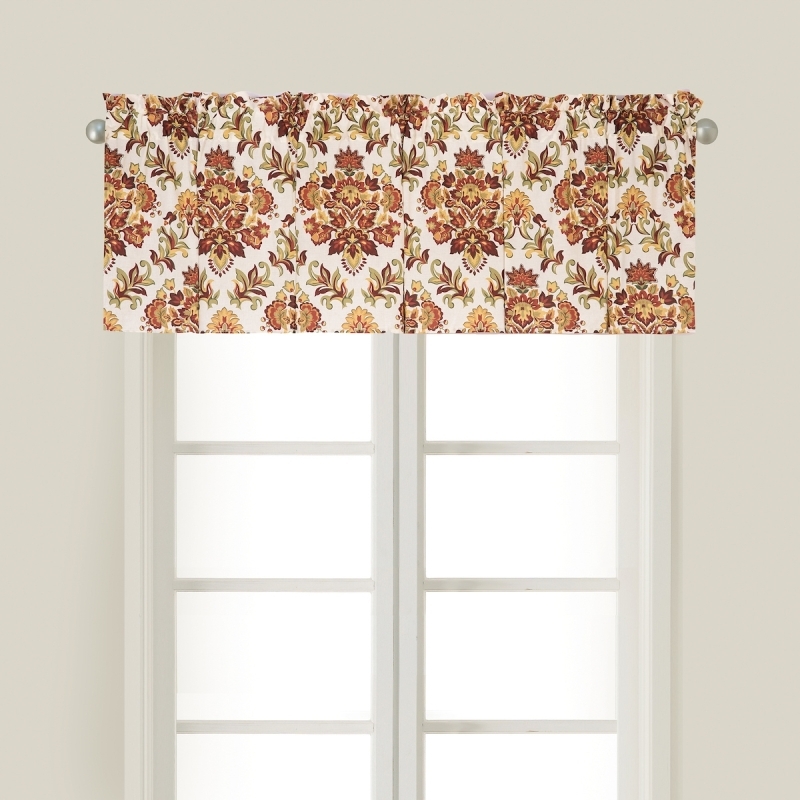 We also offer swags in other prints as well as solid colors. 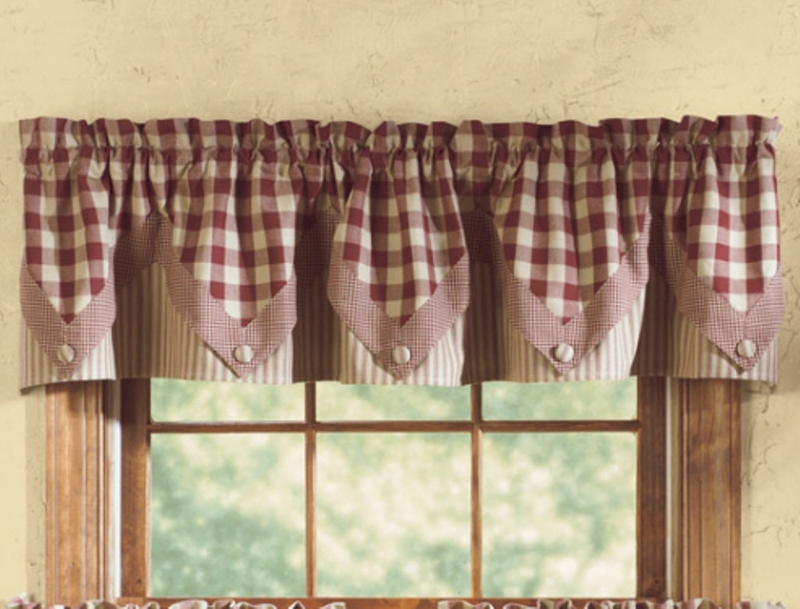 Pair these window treatments with our country table linens or everyday table linens to complete the look.